Internationally renowned as a filmmaker, writer and composer, Sally Potter has always been a provocateur: as a feminist filmmaker and performer, a leading light of the BFI Production Board generation, a British filmmaker Oscar-nominated for a low-budget costume drama, and a pioneer of digital cinema. 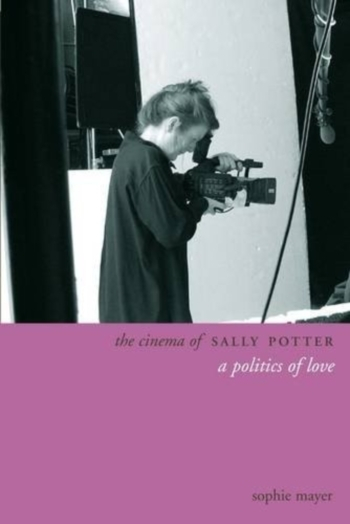 Drawing on exclusive access to archival materials and in-depth interviews with Britain's most independent director, The Cinema of Sally Potter: A Politics of Love opens up vivid historical, political, and cultural vistas to give the first full account of this extraordinary career. Potter's award-winning films Thriller (1979), Orlando (1992), The Tango Lesson (1997), The Man Who Cried (2000), and Yes (2004), are valued by cinephiles and theorists alike for their evocative sensuality, incisive wit and explosive refusal of cinematic clichés, qualities famously crystallized in Orlando's generously and exactingly reciprocal gaze to-camera. That gaze is the dynamic core of Potter's formally and politically radical reconception of cinema in her most recent film Rage (2009), told entirely through talking-heads shot against greenscreen. While Rage looks ahead to a new economy, both financial and visual, it draws deeply on Potter's committed refashioning of cinematic looking and listening through her attention to what dominant culture neglects and suppresses: labor, performance, beauty, poetry, listening, and the spirit of place. Putting the unseen on screen, Potter's films fill the viewer with wonder and desire, enacting the possibilities of cinema as love.